With the upcoming spring season, color is beginning to sprout up everywhere we look in stores, home decorating and finally – our gardens. But what about our wardrobes? Ladies – it’s time to swing open those closet doors! What do you see? Is your closet filled with shades of black and gray? Or perhaps you’ve found security in your beige, brown and berber shades of neutrals? Maybe you see your best friend having a love affair with color and wear the brightest and boldest shades possible or perhaps you admire your sister who wears sophisticated shades of color but always has a colorful accent somewhere in her outfit? Neutrals are all wonderful colors to work with, but is there something you might want to experiment with? There are so many color conversations going on around us. Where are you on the color-wearing spectrum? Over the next few blogs, we will be exploring some ideas for new ways to enjoy color NOW! Let nature be your inspiration. Imagine staring into a dried up riverbed and noticing all the subtle shades of gray. Mixing shades of a color together is one way to be artistic. Those riverbed colors – dove gray, cement, clay, and gunmetal – would be beautiful put together in an outfit. No matter what separates or accessories you use, they’ll be harmonious and beautiful together. Try this with shades of brown – like a box of mixed chocolates – or shades of green like you’d discover on a spring hike around a lake. Then add a texture, sparkle or bold accessory piece to take it from boring to beautiful on a whole new level. Another creative way to explore color is to wear a column of color. A jumpsuit, pantsuit or maxi dress is an easy way to get a nice, long column. While it’s easy to imagine this column of color in black, white, navy or camel, think how dramatic it would be if it were in a vibrant yellow, emerald or royal blue? Now layer on a necklace, jacket, or scarf in the same color for more drama. Are you feeling adventurous about color? How about exploring interesting color mixes. Try a forest green blouse with an apricot-colored cardigan. Pair an eggplant purple skinny pant with a camel colored leather jacket. Wear a chambray blue casual button up shirt and carry an orange-zest patent leather clutch. Have fun with colors and don’t be shy. Your brave color mixology may inspire others to step up their color voltage. For more ideas on how to use columns of color and adding “accessory encores,” check out my new book, Out the Door in 15 Minutes – it has hundreds of ideas on how you can take your look to a whole new level. Or better yet, why not treat yourself to a personal one-on-one color consultation to start your wardrobe this season off right! For more information go to: www.jillswanson.com or call 507-281-2981. 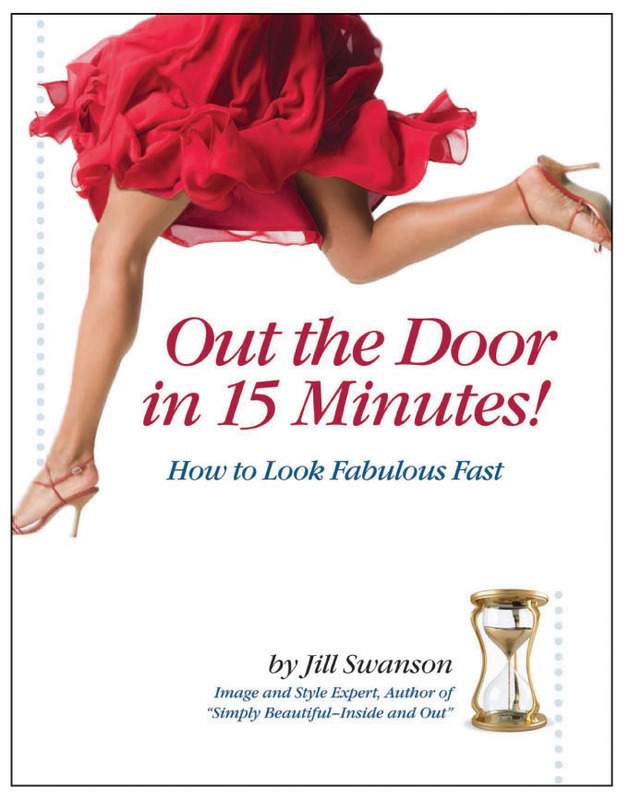 You can also email at jill@jillswanson.com.